The X3watch affiliate program is available for publishers in CJ Affiliate by Conversant (formerly known as the Commission Junction Affiliate Network). X3watch provides users with browser monitoring software that works across multiple devices. 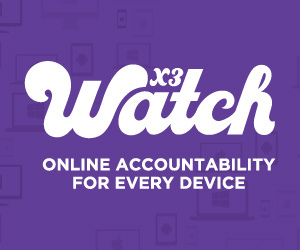 What sets X3watch apart is that it combines internet security with accountability. X3watch works across computers and mobile devices to block and filter websites that you don’t won’t getting into your home. Secondly, it creates an accountability report that is shared with the users spouse, partner, or parent. The X3watch affiliate program pays publishers on purchases of both monthly and annual subscriptions. Affiliates also gain access to special promotions to share with their readers. Start marketing X3watch today. This program is not limited to, but has appeal to Christian affiliates, tech and software company publishers, parents, and marriage/relationship content sites. Look for this program in the CJ affiliate network.